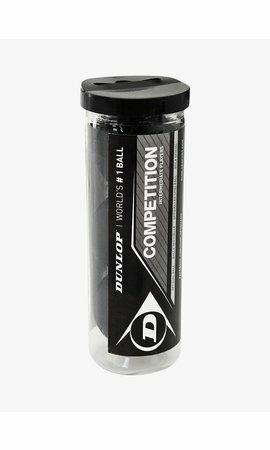 The Dunlop Pro Squash Ball, recognizable by the double yellow dot, is the most used competition ball worldwide. The Dunlop Pro Squash Ball is slow and has the lowest bounce, which makes it suitable for advanced squash players. 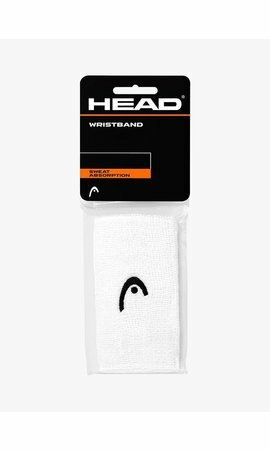 The ball has a diameter of 44 mm and it weighs 24 grams. 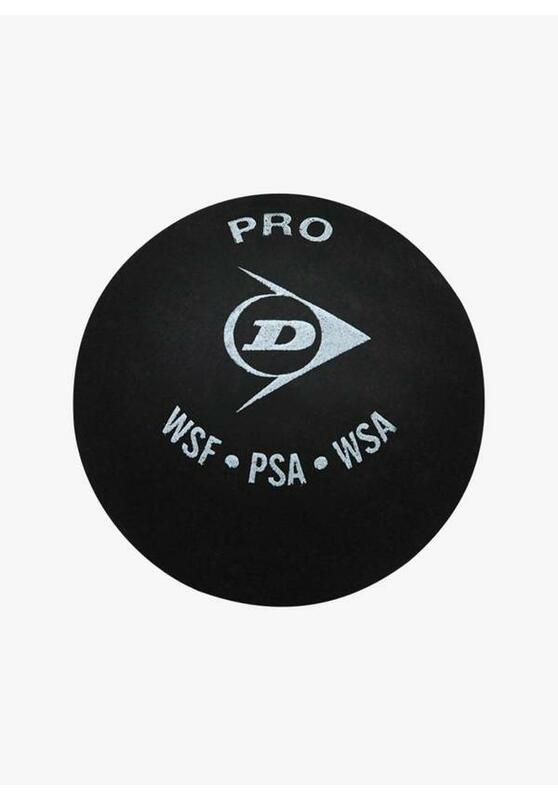 For optimal performance, the Dunlop Pro Squash ball should be warmed up. 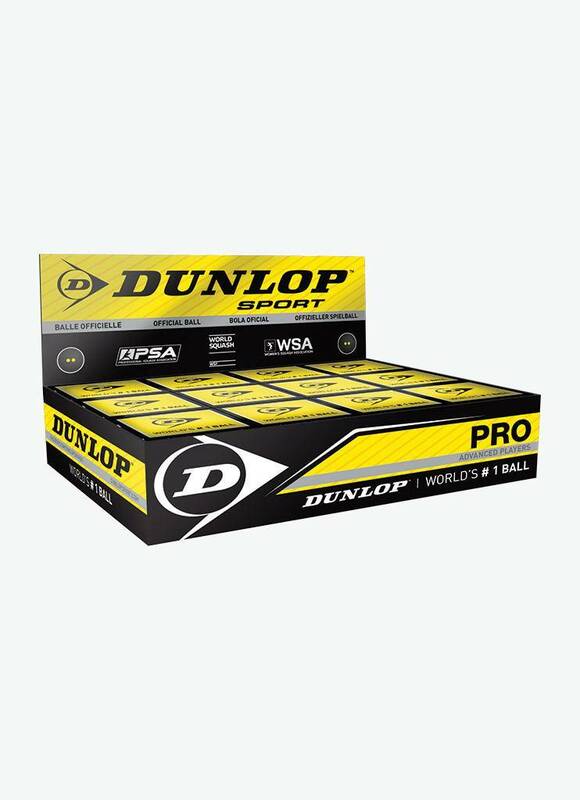 Save money by purchasing a box of Dunlop Pro Squash Balls. 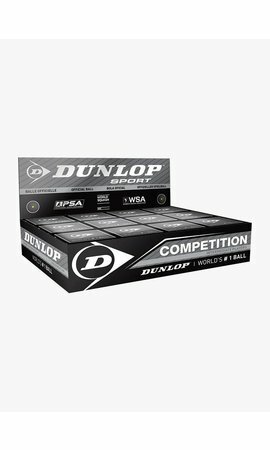 In a box there are 12 balls that are packed individually in a small cardboard box. It is always handy to have enough balls at hand. 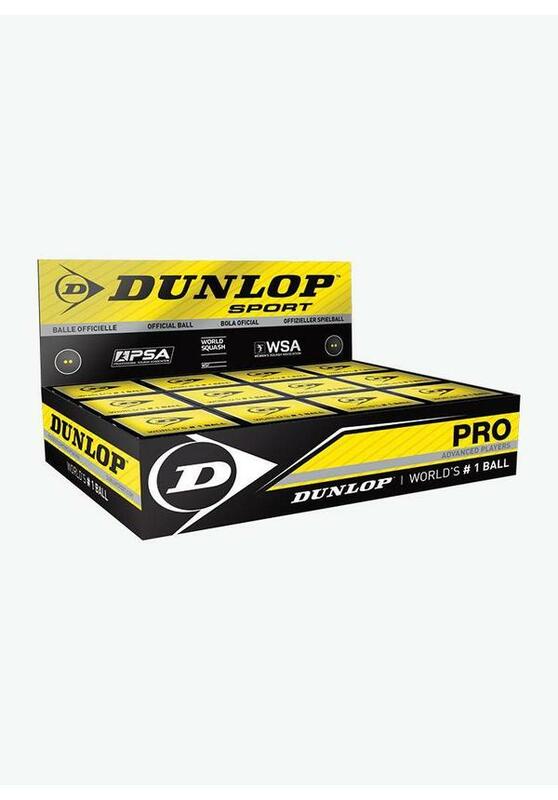 Dunlop is a leader in the field of squash balls and Dunlop squash balls stand for quality and durability. 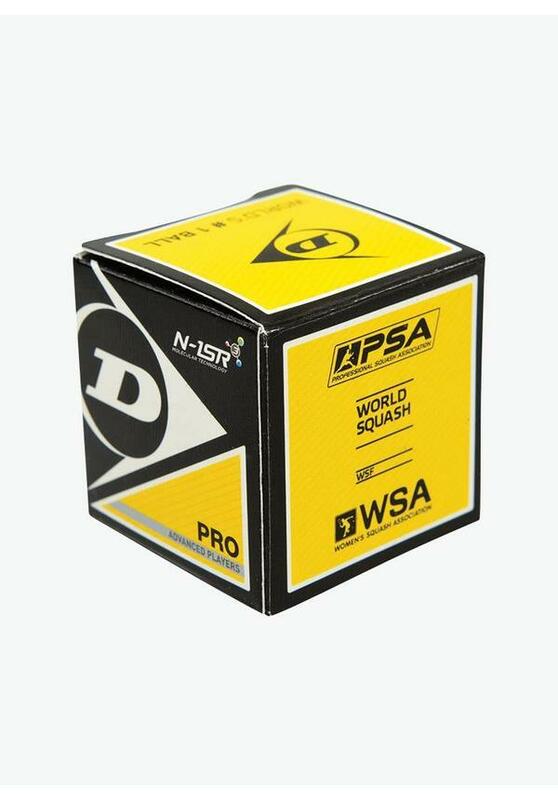 And this is also the reason why the Dunlop Pro Squash Ball is used at all major international tournaments of the PSA (Professional Squash Association).